I love jewellery. Real or fake nothing gets me more excited than seeing earrings, rings and bracelets ( well, maybe perfume.) The bigger the better! I recently discovered this book, at Crossword which features some of the biggest names in jewellery design, such as Alexis Bittar and Bless. The book talks about the designers collaboration with various design houses such as Lanvin and Comme des Garçons. It also mentions the various materials they collaborate with such as resin lucite, wood etc. 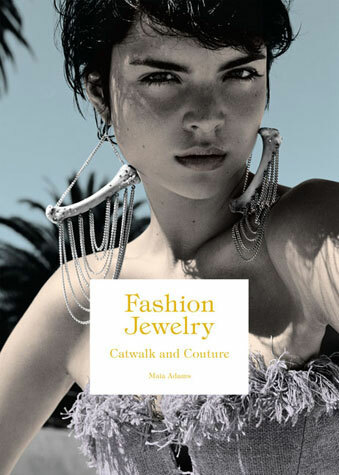 The most interesting part of the book was reading how a certain designer was inspired by chicken bones and made pieces of jewellery out of discarded chicken bones from lunch! This is one book that is so inspirational and well written and a definite pick up the next time I am in Crossword.